Dreaming of switching off from your busy day-to-day life, cool down and connect back to life’s simple pleasures? Let us tell you about a small French area away from swarms of tourists that stretches along the curves of the beautiful Lot River canyon. 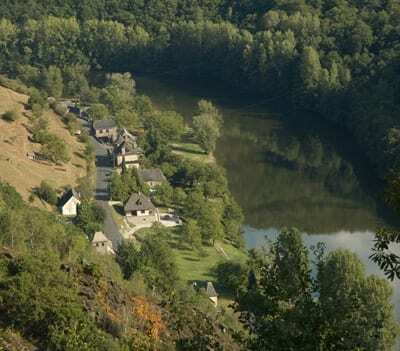 This river flows in Southwest France at the foot of the Massif Central and since time immemorial has created some of France most beautiful landscapes. This trip can be divided into manageable stages to make the most of your holidays. 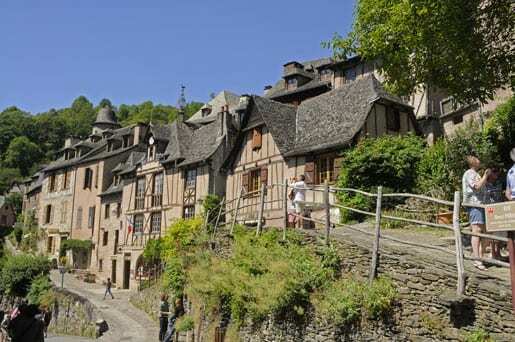 This lovely region is located in Aveyron French department made famous for its beautiful villages. 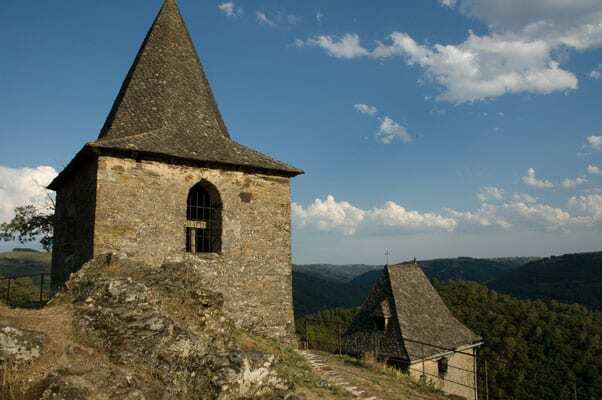 So lets start our trip in one of them, at Entraygues-sur-Truyère (I know, this is a terrible name that even most French people can’t say properly!). It nevertheless is a charming village located at the confluence of two rivers, the Lot and the Truyère. In the Middle Ages it was a fortified village and even if today its ramparts do not exist anymore its 13th century castle still stands proudly at the meeting point of the two rivers like a huge figurehead. The village centre is a maze of crooked small streets with medieval houses ornate with typical stud walls and oriel windows. 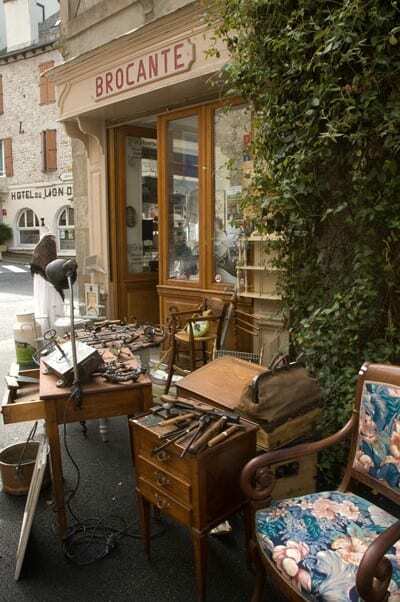 They house nice shops where you will find affordable antiques, locally made pieces of pottery or even cheeses such as the famous Cabecou and deli meat. Back on the road go back to Entraygues and take the small road that goes along the Truyère River. 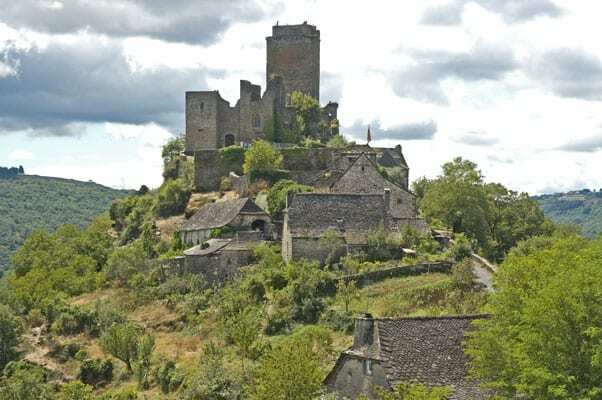 It will lead you through spectacular landscapes to “Le Valon” castle. You will see it from afar standing on top of a rocky spur overlooking the river. 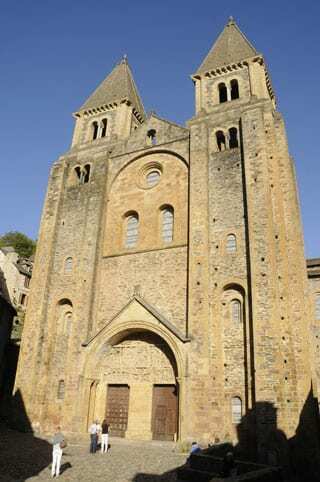 Le Valon was built in the 12th century and took an active role during the Hundred Years’ War. Inhabited since the French Revolution it was close to collapse after local people used the stone it was made of to build their houses. Saved from total destruction in the 20th century it has been carefully restored and is now open to the public. Don’t miss this interesting visit that will end on top of the dungeon from where you will have a 360° breathtaking view. 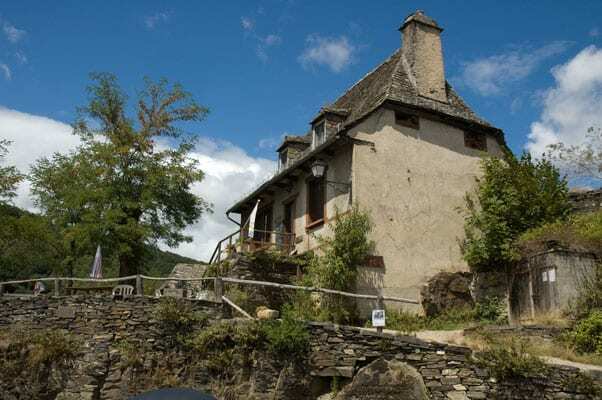 In the hamlet at the foot of the castle you can have a tasty break at “Le Valon Gourmand” a small café where only local food are served such as yummy ice creams made in a close by farm. The café also is a grocer’s shop where you will be able to buy locally made jams, cheeses, cakes, honey…. If you’re interested in local produce you can visit an ostrich farm located in Senergues set on a high plateau where you will also meet the beautiful local red cows. It truly is fun to watch these big birds romping in the middle of the French green countryside. 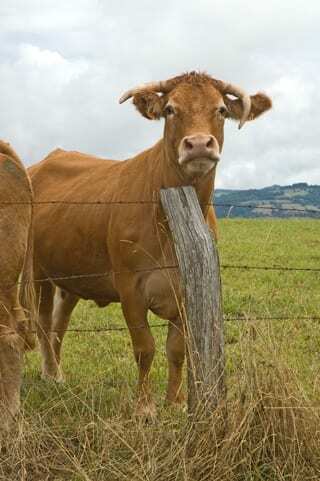 They are very curious animals and will be watching you in the same way as you will be watching them! The Vigouroux family takes care of these birds of sturdy character for over twenty years and will tell you everything you want to know about them. In the farm’s shop you will find handbags, belts or wallets made in the incredible leather made with their skin as well as many different patés made with their tasty lean meat. Also located on the Compostela pilgrim route the “Moulin de Cambelong” is a water mill set on a lovely river called Dourdou. 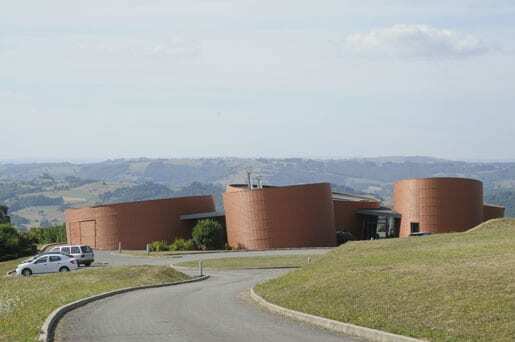 It used to be a mill to make walnut and hazelnut oil and has been turned into a hotel in 1985. It now belongs to Hervé Busset a talented chef who draws his inspiration from the plant kingdom. He is a true insider on the secrets and qualities of plants and uses wild edible plants like no one else. Listing all the awards he got from restaurant-guides would be to long but of course he rightfully is proud of his one Michelin star! Even if his passion for plants is at the heart of his creativeness Hervé Busset is not a vegetarian chef. He uses plants and herbs to enhance each and every product he cooks whether it is fish, meat, fruit or even a simple egg. Obviously the chef never gets bored in his kitchen and I would rather say that he is having fun. 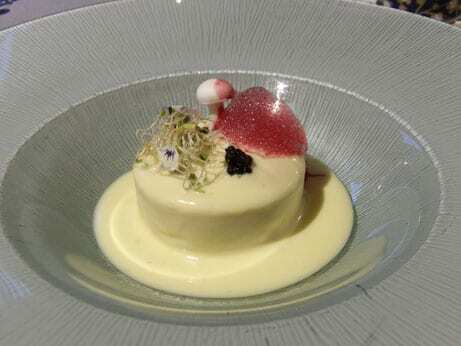 His dishes are full of humour and imagination mixed with an undeniable elegance. You will have a memorable dinner on the outside terrace next to the river if weather allows or in the elegant dining room that used to be the pressing room of the water mill. Don’t think that a Michelin-star restaurant necessarily is expensive, there are several set menus to choose from and you can enjoy a 3-service one for 40 Euros (more info on the website). Why not have a slowly cooked trout with elder flowers or an ivy stock seasoning a sturgeon fillet with surprising aromas of mint and lemon or lamb with wild thyme or a pullet breast flavoured with milfoil and end with a chocolate fondant made with grand cru cocoa melting in a mint sorbet? Whatever your choice you’ll have a masterpiece in your plate. Enjoy! 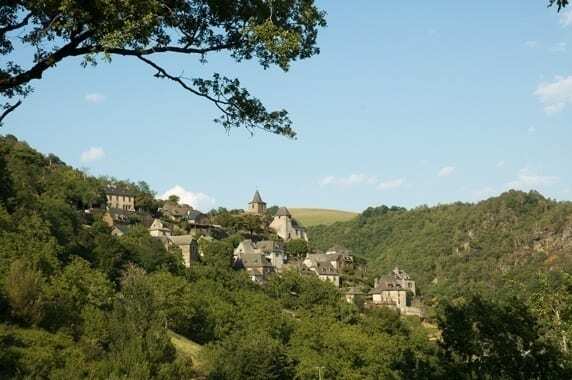 There are many other places of interest in this lovely Aveyron area. You can go to Flagnac to set off on a cruise on the Lot River to discover its beautiful gorges. You can also admire a geological curiosity at La Croix Barrez (on your way to Le Valon castle) created by a mass of fallen basalt rocks. 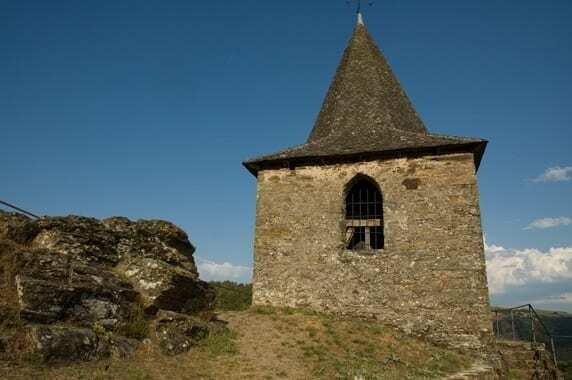 Don’t miss to visit La Vinzelle another highly perched village with lovely houses and an amazing lb 2,755 heavy bell that rang so loud that it had to be removed from the village church tower to be set in an other tower especially built for it away from the village!